We have just moved into a brand new facility at 8 Bradford St, Kewdale in Perth and have more than 1700 pallet spaces available for immediate storage. 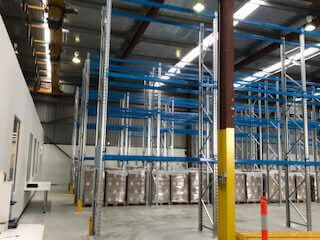 In addition to this, we also have 2000sqm of hard stand inside and out ready for use. Our custom built facility has electronic swipe key access, with full camera and alarm back to monitoring centre security. Full response unit if alarm activated. Along with our warehouse management system, you have full visibility and stock control of all your inventory. We have some great rates on offer right now, so please don't delay. This is filling fast, contact Frank Tringas on 0438512240 or email frank@directcouriers.com.au to discuss your short or long term requirements.